For six weeks we’ve had episodes that are pretty much perfect in reaching high and delivering everything they attempt. 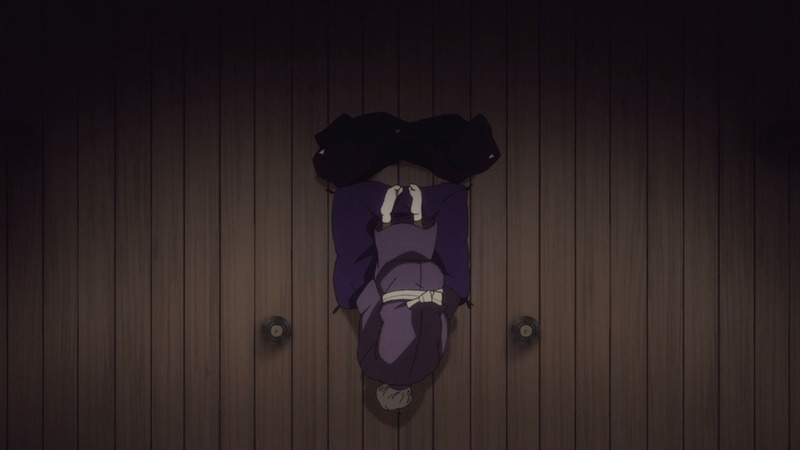 Every episode is an A+ at this point. 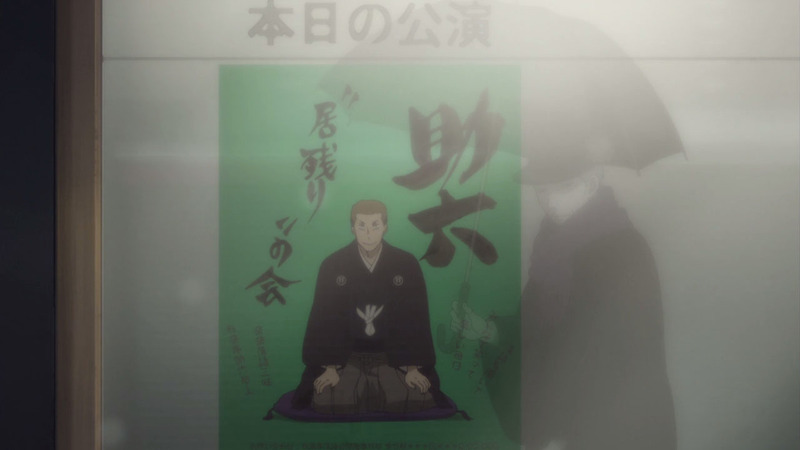 But I was fooled in the first few scenes wheb I thought this might be a more positive episode of Rakugo Shinjuu. 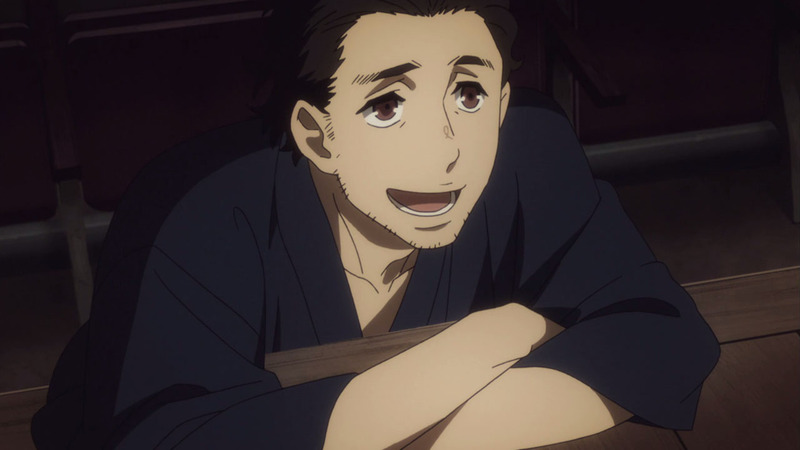 We learn that Yakumo’s friend and Yotaro’s old boss is sentenced to six years of labour, which is told over drinks and isn’t treated with too much theatrics. 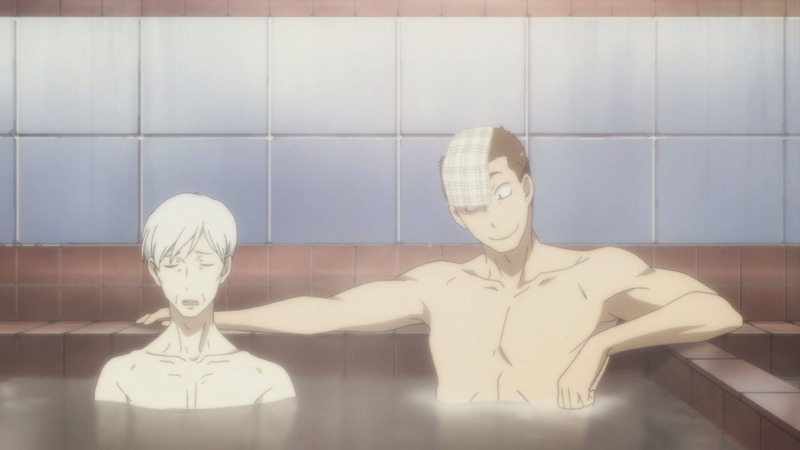 What follows is a bath scene with the whole family: Yakumo, Yotaro, and Shin. It’s a rare moment where we’re allowed the pleasure of sitting back and enjoying the company of these characters. 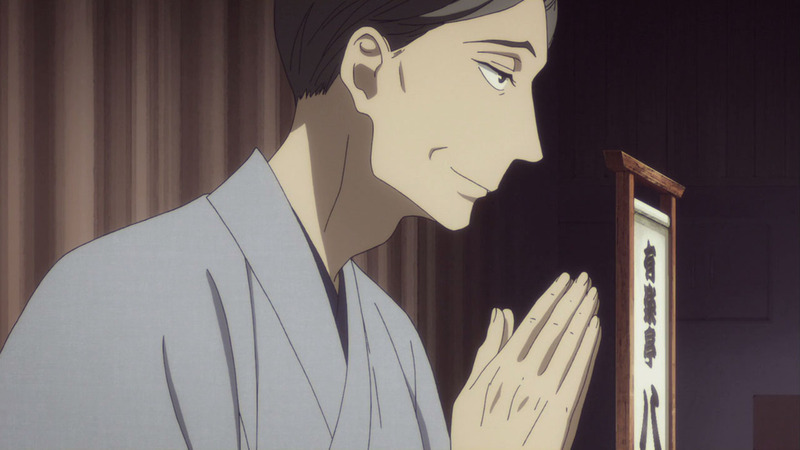 Shin proves to be cunning despite his age when it comes to putting on his charm when it suits him best, and he and his dad both want the same thing: For Yakumo to return to rakugo. 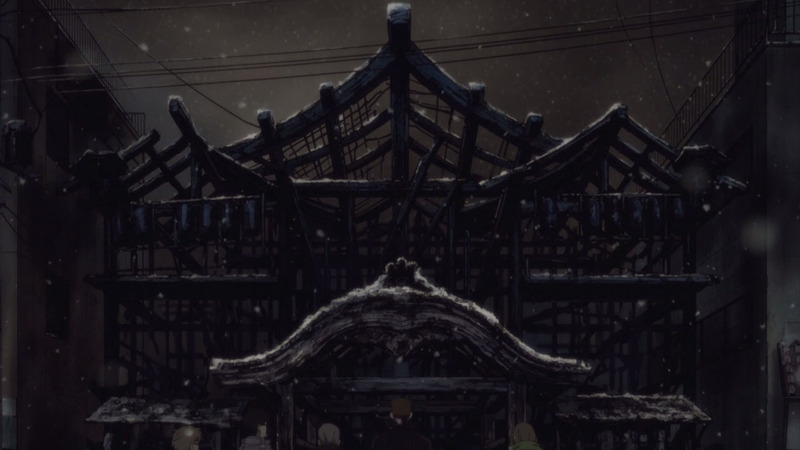 This leads into Yakumo returning to perform at a prison, which is an obvious call-back to how he first met Yotaro; we also learn that Yotaro regularly does the same thing. Lots of insightful details were sprinkled throughout this episode, but it was the powerful moments that will be etched into my memory. 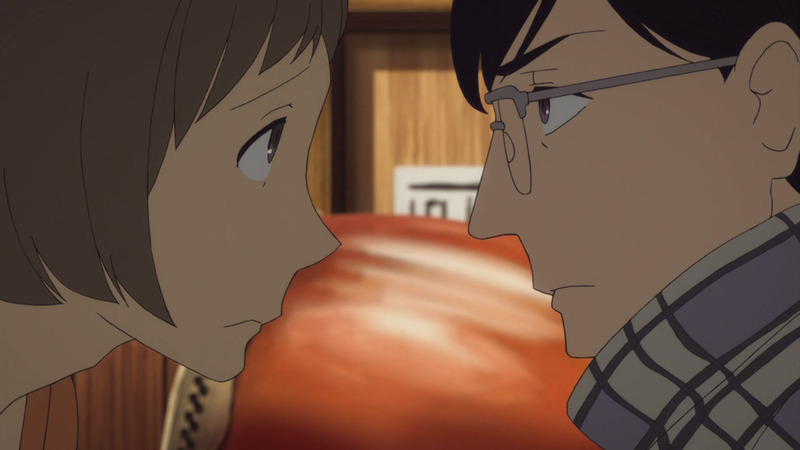 Yakumo opts for drama instead of comedy when it comes to the inmates, and tells a fitting story about distance between lovers and receiving letters from the one you wish to be with but cannot. 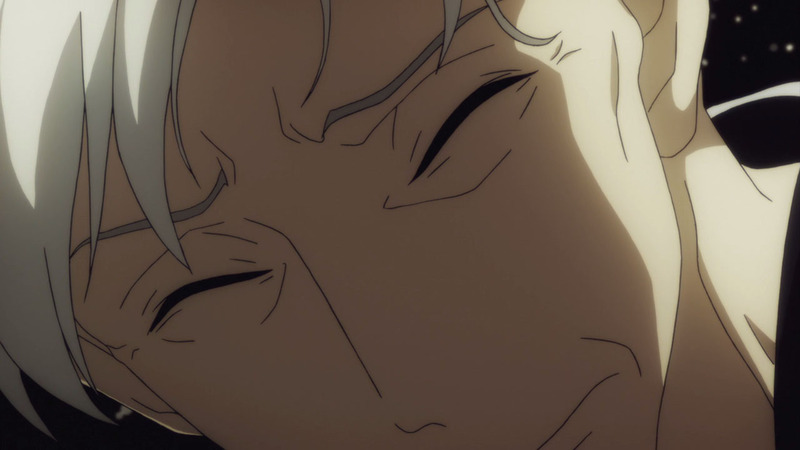 It’s no surprise that his words affected the prisoners who are likely going through the same thing, but Yakumo’s delivery, although physically weak, is still stirring and emotional when it matters most. 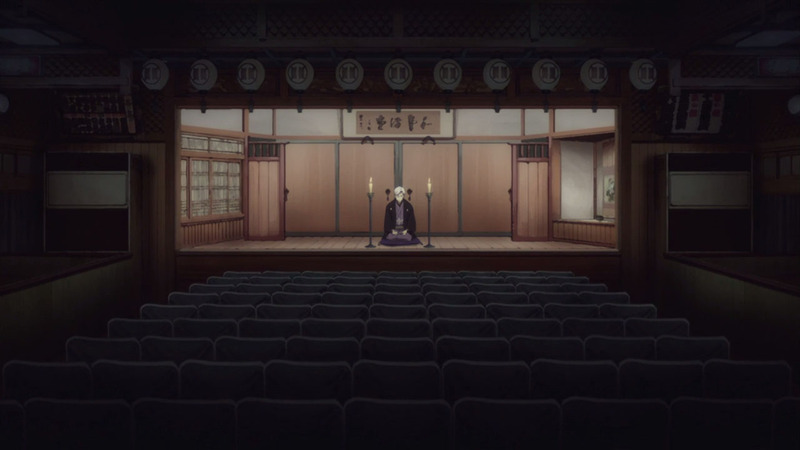 Every time he opened his fan to read the geisha’s letter, it felt real. 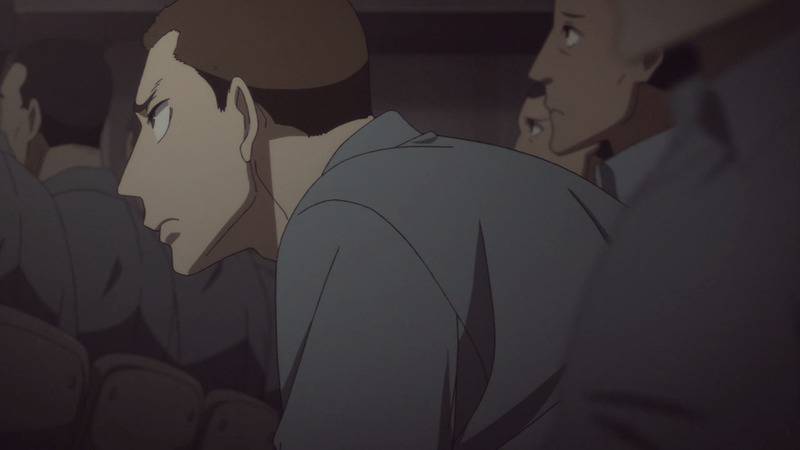 Several weeks back I mentioned that Yakumo performing at prisons may be because he doesn’t judge those who made mistakes in their past after everything that happened with him. It’s a side to his character that is wholly positive, and these past few weeks have shown the best sides of him as his dance with death continues. 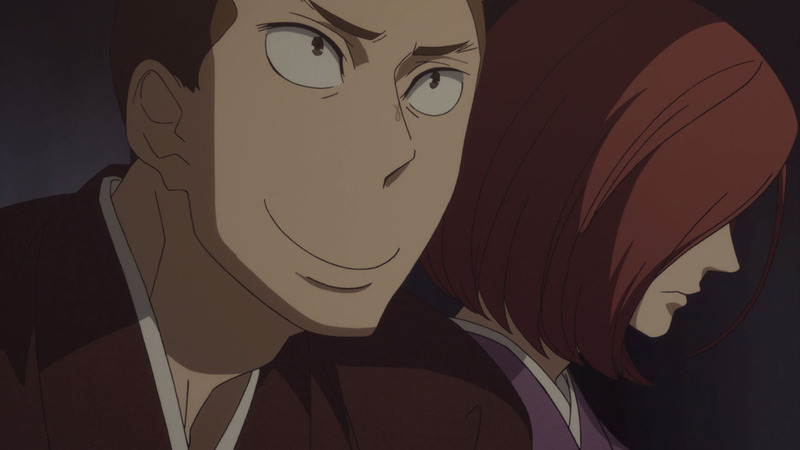 And then there’s Miyokichi. Despite not saying anything this season (other than a brief flashback), her presence lingers, and her return to the stage was as cathartic as it was beautiful. This time, however, Yakumo was not taken aback by her appearance. Instead, he did what he should have done all those years ago to prevent the tragedy that befall him and his loved ones: He reached out to her. They embraced, in a way admitting and atoning for his mistakes with how he treated her, while also moving on from her memory. I expect this will be the last time I’ll get to take about Miyokichi in detail, as her arc has been complete now. 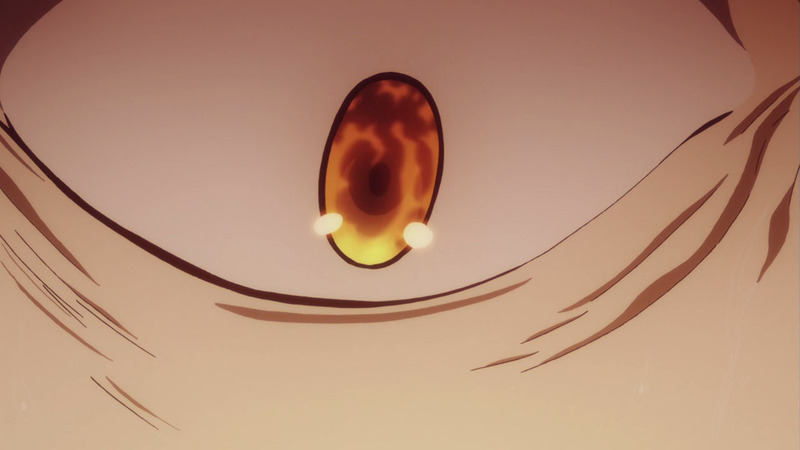 Even in death, she has remained a crucial figure in this story, but now that Yakumo has accepted what happened and isn’t afraid of her any longer, her story is complete. I’ll just say one last time that I loved her character and she will remain one of my personal favourites of the cast. 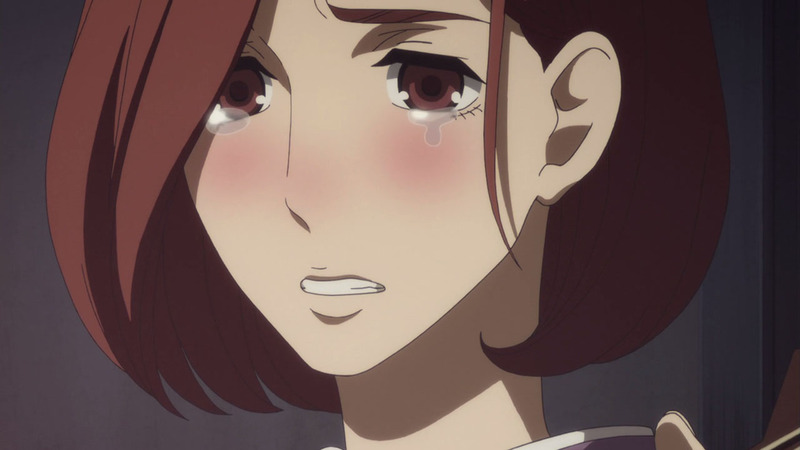 I never once hated her and I don’t blame her for all of this mess, just as Yakumo doesn’t. She was a troubled woman with a horrible life, who made awful mistakes. The fact that she never had a real relationship with her daughter will forever remain tragic. 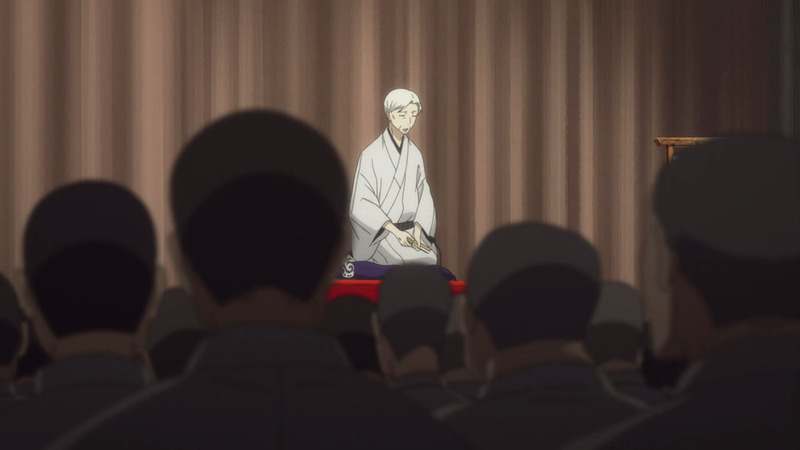 Even after that onstage encounter, there was some seriously eerie vibes in the latter half of the episode, to the point where it seemed to me that Yakumo was paying a visit to everyone that mattered to him before he took his own life. 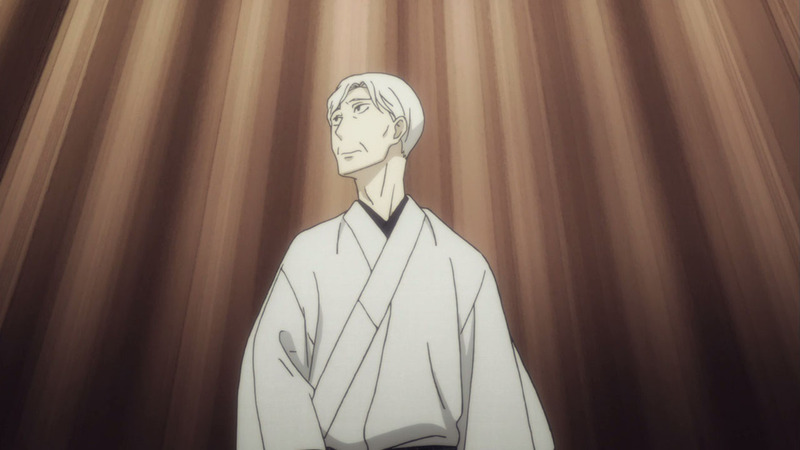 Even though he’s warmed to the idea of returning to rakugo, this seemed like the actions of a man who was content with the idea of dying. 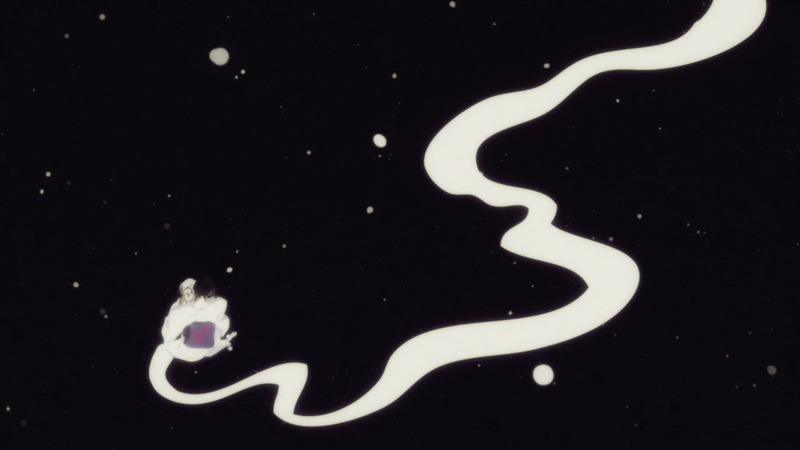 That changed by the end of the episode, of course, as he’s confronted with the shinigami himself, and wrestles his way out of the afterlife. The dance continues on, and how fascinating it is to watch. 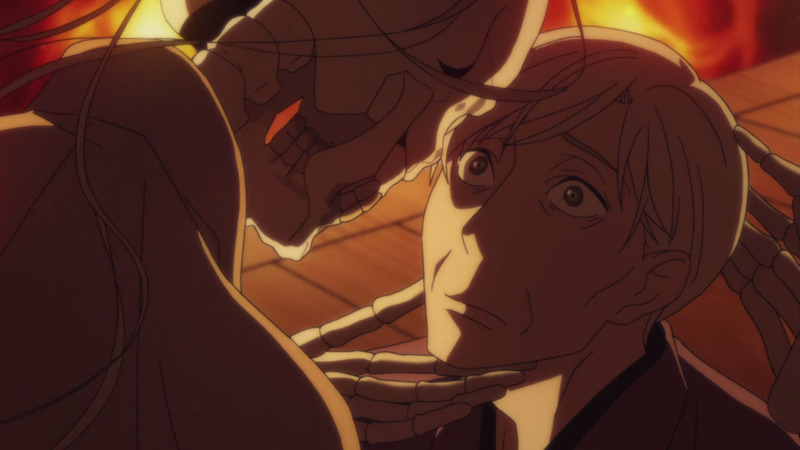 What I’m left wondering after it all is whether Yakumo intended on bringing rakugo with him to the grave. 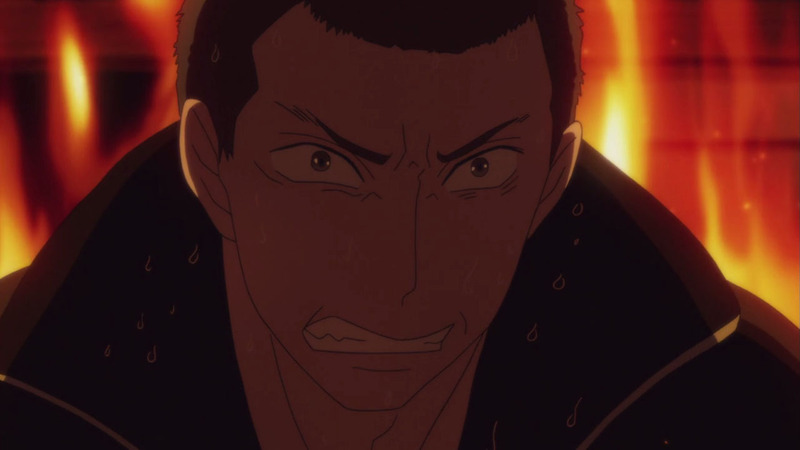 Was this what he secretly wanted, or was he pushed over the edge by now deceased Sukeroku? 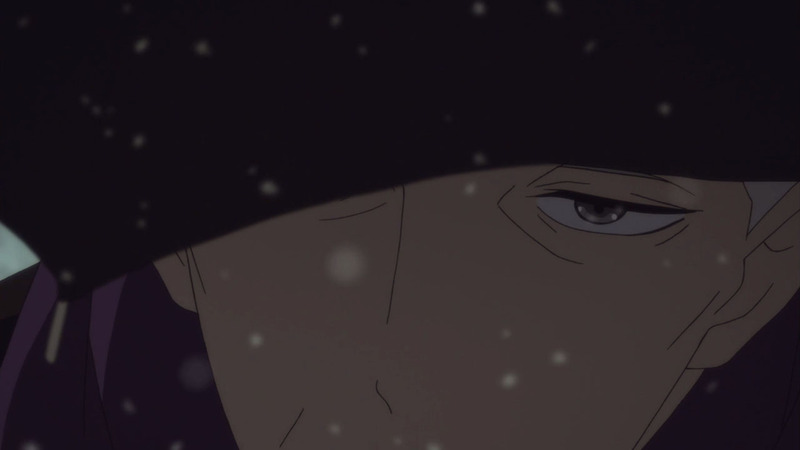 I knew something was up when Sukeroku’s eyes were red in the OP, just like last time Yakumo nearly went over to the other side. 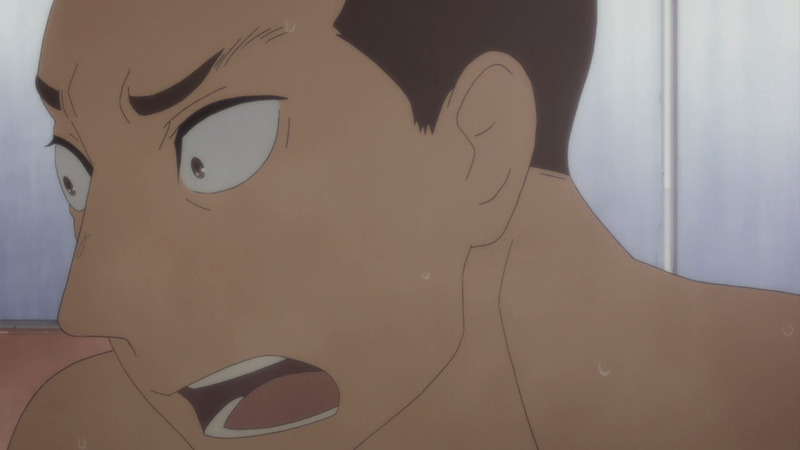 Both times he’s been able to hear his best friend’s words, which to me is an indication of him getting closer to joining him in the afterlife. 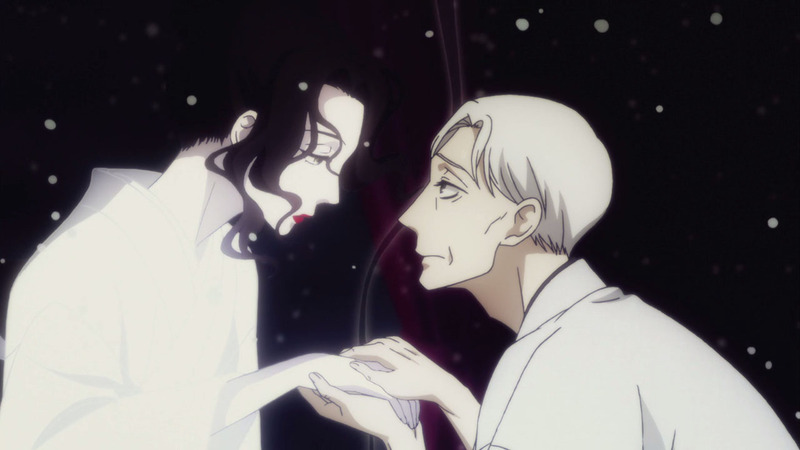 Miyokichi is nowhere to be seen; whether she resides in Hell is debatable, but it’s Sukeroku that is his final memory that he has to overcome and move on from if he’s to live the rest of his life with a shred of happiness. 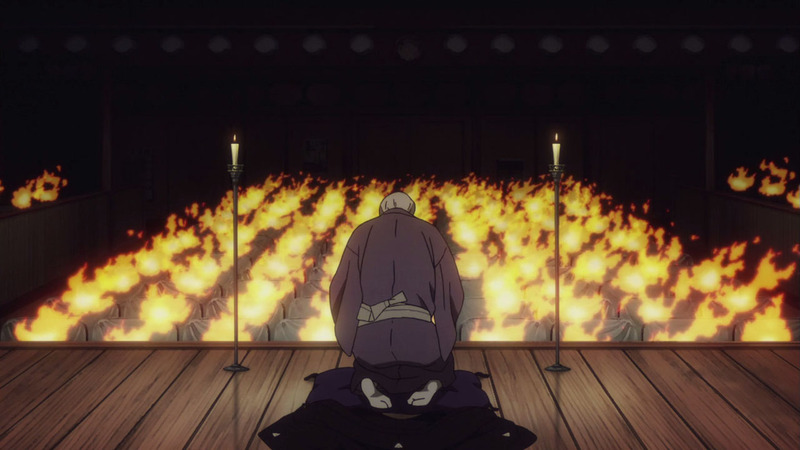 The conversation with Sukeroku turns sinister very quickly, and just like that, the rakugo theatre is burning to the ground after he throws a candle to the empty crowd. Watching him perform to his fullest to nobody but the imagined flames was powerful stuff, and had me convinced that this was his final moment. 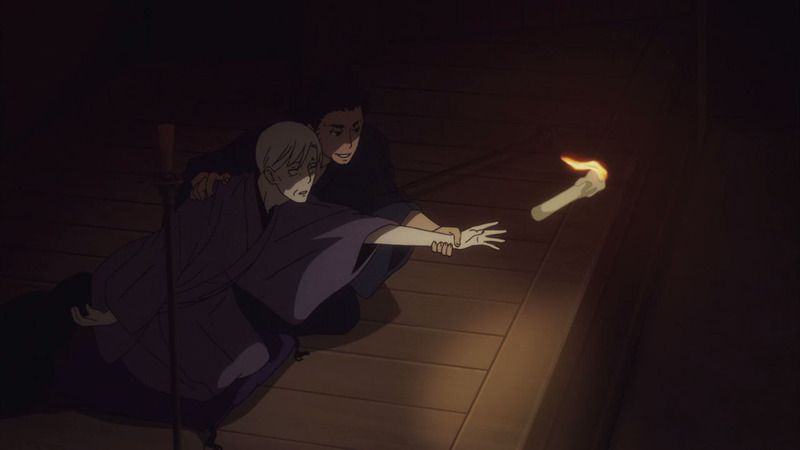 But with the reveal of Sukeroku and Miyokichi’s real story, it’s clear that the most theatrical and dramatic turn of events isn’t how things are going to turn out. 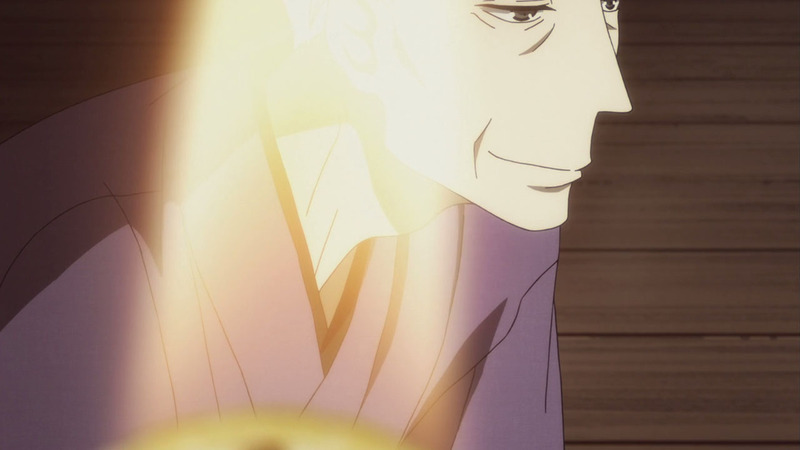 This isn’t like a rakugo story anymore; it seems a tragic demise isn’t what awaits Yakumo. I predict if he is to die before the series is over, it will be peaceful. 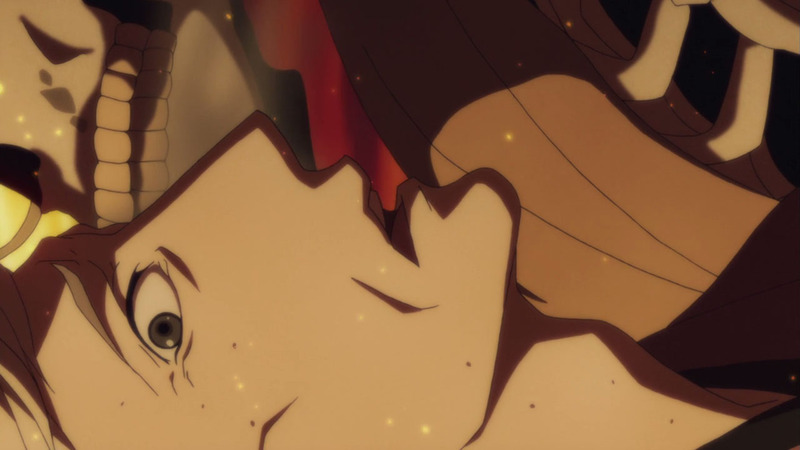 He’s escaped death twice now, but with the lingering stare of the shinigami on his back in that final shot, it’s evident that his time on Earth is approaching its end. 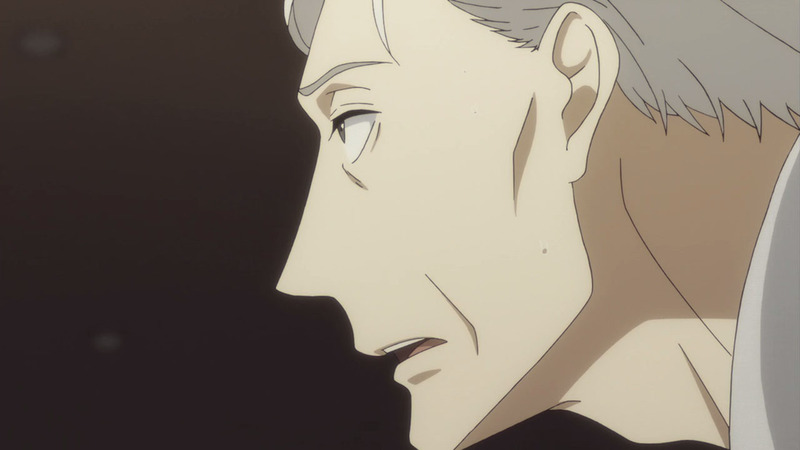 It’s beyond of capacity to discuss, after all, I believe that the Sukeroku that Kiku sees is just an illusion (aside when he fainted). 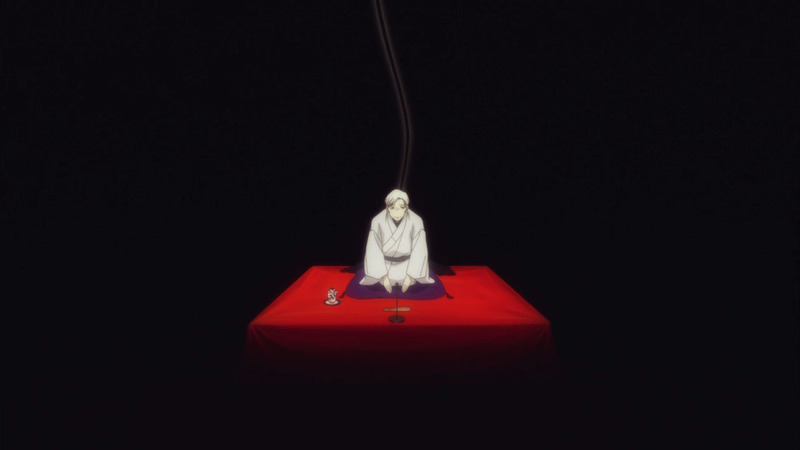 The Sukeroku in this episode was just and hallucination, he really wants to live but to live is so hard at this point, he as searching for help to die after seeing that Yotaro achieved what Sukeroku wanted. 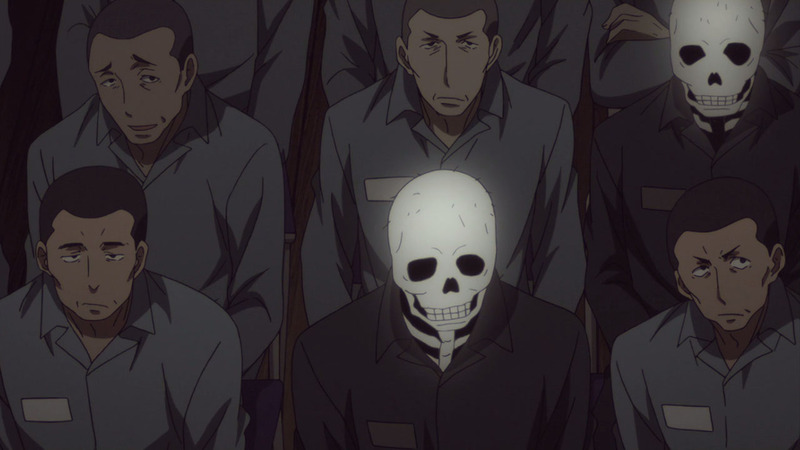 It was the Shinigami all along, it was him all along. 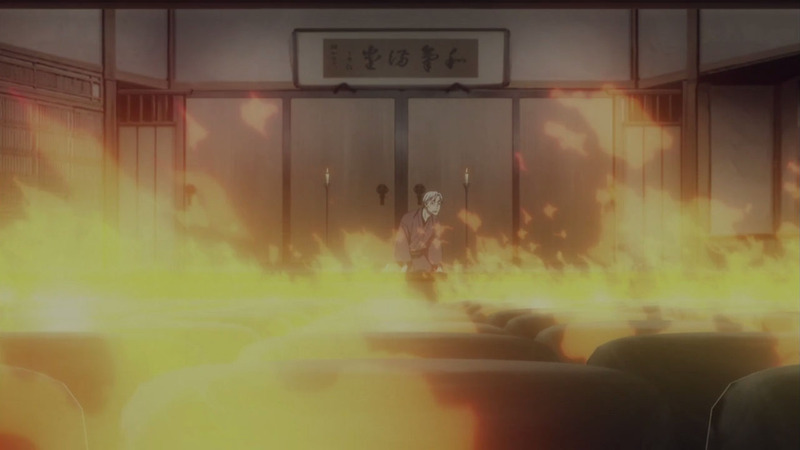 So, if Miyokichi don’t appears is not because she could be in Hell, or Heaven, is just because ghosts “doesn’t exist”. At least, it’s what I think. 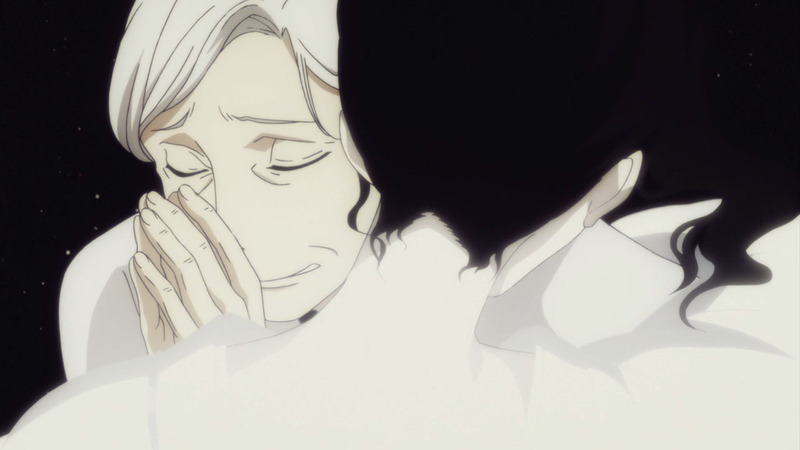 Other thing that I think is that Konatsu perhaps understands that Kiku loved her mother. They likely are just an illusion, you’re right. 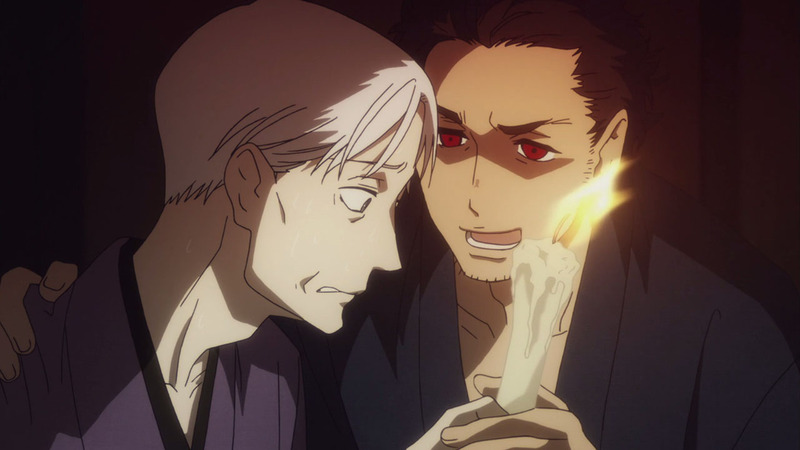 But for some reason it feels like the show is going with the “ghost/spirits exist” route, but that’s likely just my interpretation. 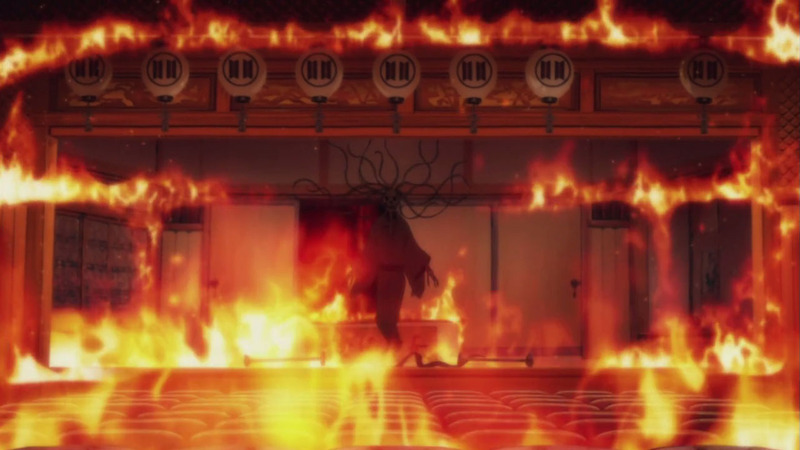 The appearence of the shinigami was what convinced me of that this weeks as well, since we saw Miyokichi, Sukeroku, and Death all in one episode. 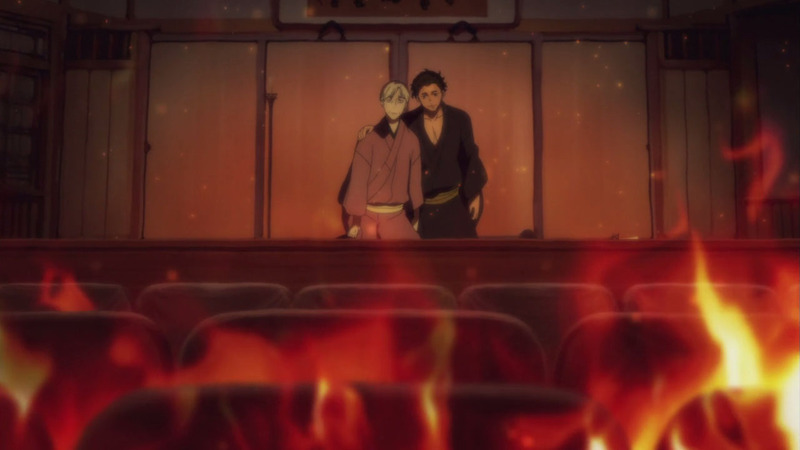 So, of Bon’s 3 life conflicts, his ghostly ones were cleared this ep. I agree his ghosts are personal and internal, not that his haunting is true. They’re manifestations of Bon’s guilt and pain. His coming to peace with them had to happen or his life would end unresolved. The series is about Bon’s life, and most stories are about resolving conflict. 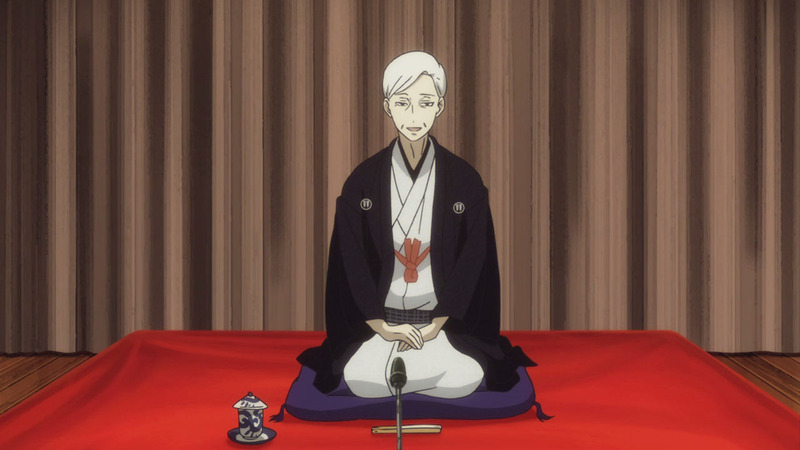 I’d also say he has discovered that he doesn’t actually wish to take rakugo with him. The association wanted a new theatre anyway. Next up, and finally, would be the family conflict which is certainly the most difficult as there are actual other people involved and that’s Bon’s greatest weakness: other people and their messy unpredictability, inter-dependance, and suffering. 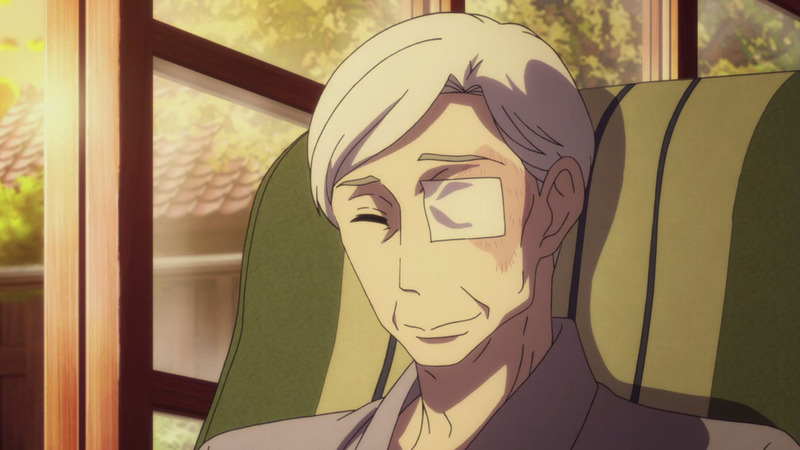 Take it easy with the Miyokichi apologism. If she were a man, absolutely nobody would be gushing so much sympathy for her. It’s a tried and tested fact that if you want to make people feel sorry for something or support a cause, use women. I usually have a stronger connection with female characters (as I said before). My “apologism” for her comes from at attempt to outweigh the negativity she gets from most viewers. 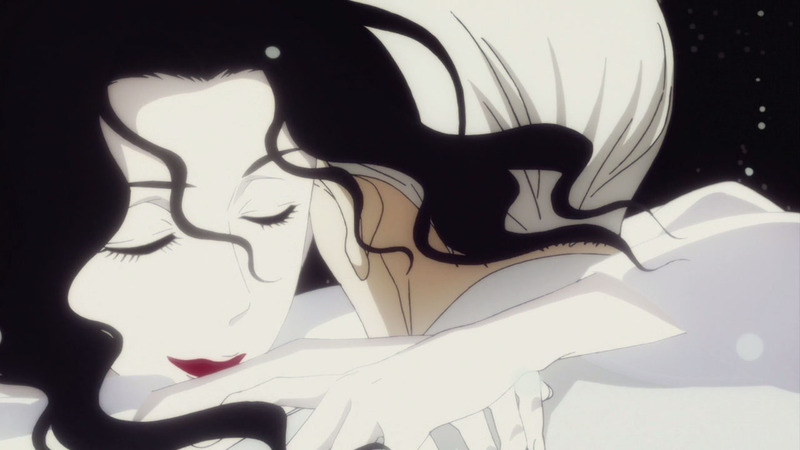 Also, MIyokichi’s story only exists because she is a woman. Her circumstances are limited by that and her fate was decided for her because of that fact in that time, so if she were a man the circumstances for her to do anything similar would be very different and perhaps wouldn’t be as easily explained. 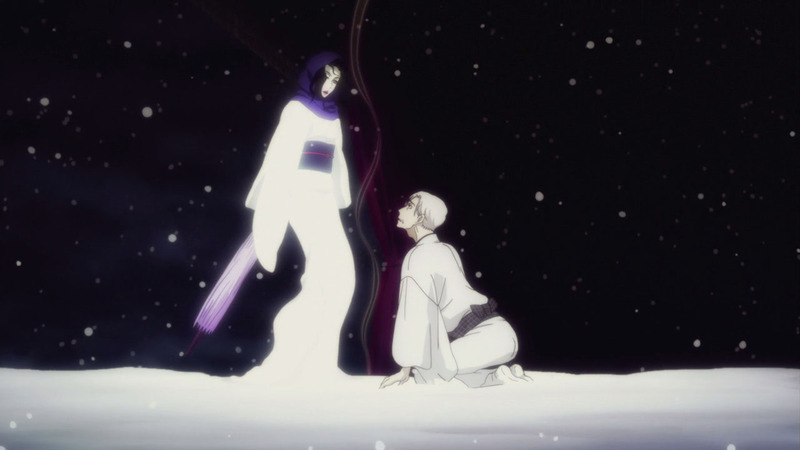 Yakumo’s life was three times as tragic as hers and he didn’t go out of his way to ruin the lives of others. And his story is also only possible by virtue of he being a man. People don’t like Mikokichi because she is the most blatant plot device in the story and the plot twist two episodes ago made her look even worse. 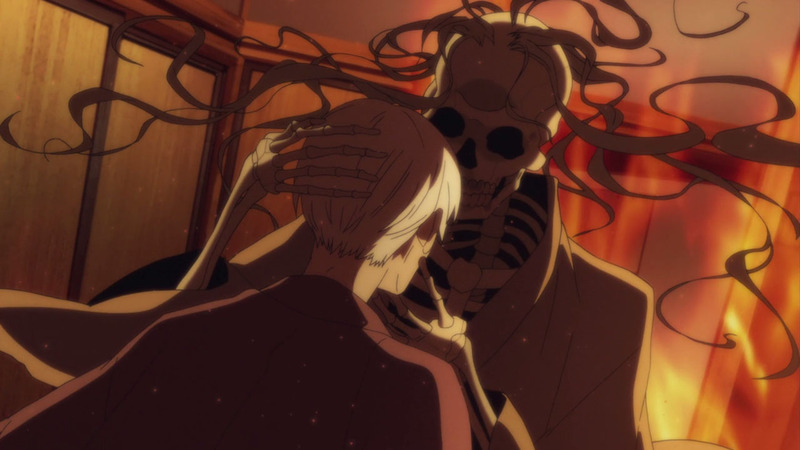 And that’s why I’ve mentioned that I think Yakumo is one of the best-written anime/manga characters I’ve seen. 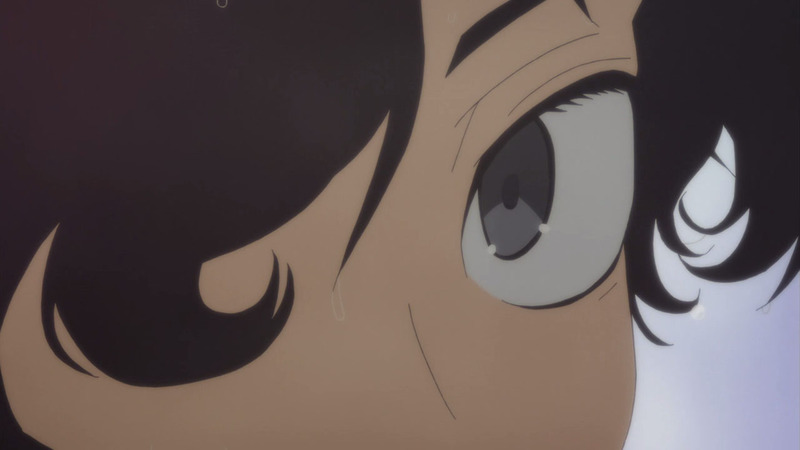 But I wanted to take the oppertunity to talk once more about MIyokichi because her character resonates most with me and her on-screen presence, no matter how minimal, leaves a last effect on Yakumo as it does with me. This is beyond brilliant. Absolutely love this show.